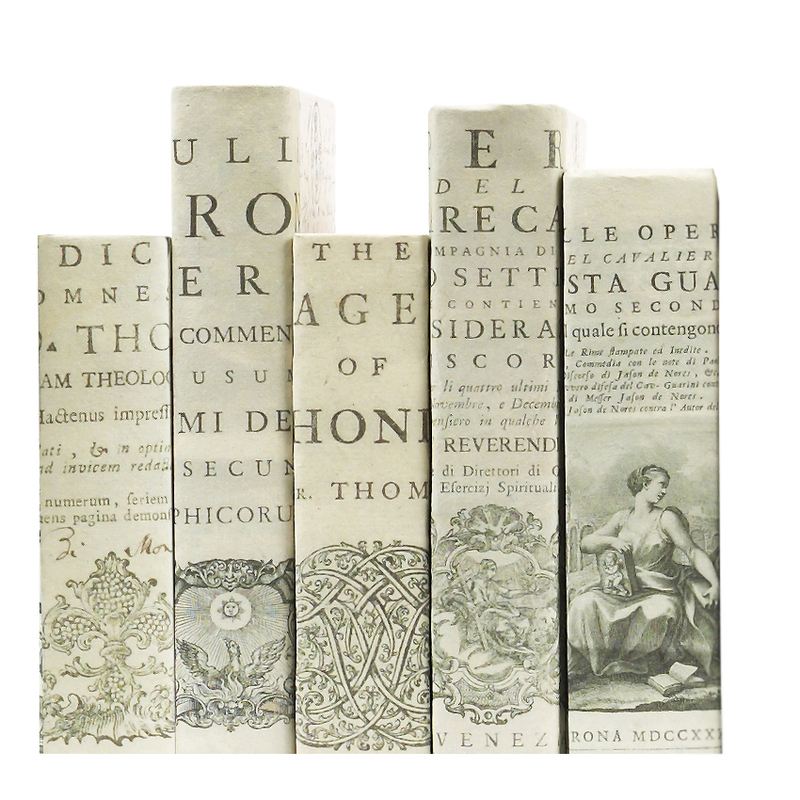 17th Century Title Page Series | Maison & Co.
Reclaimed books that have been rebound by hand with hand-made parchment. 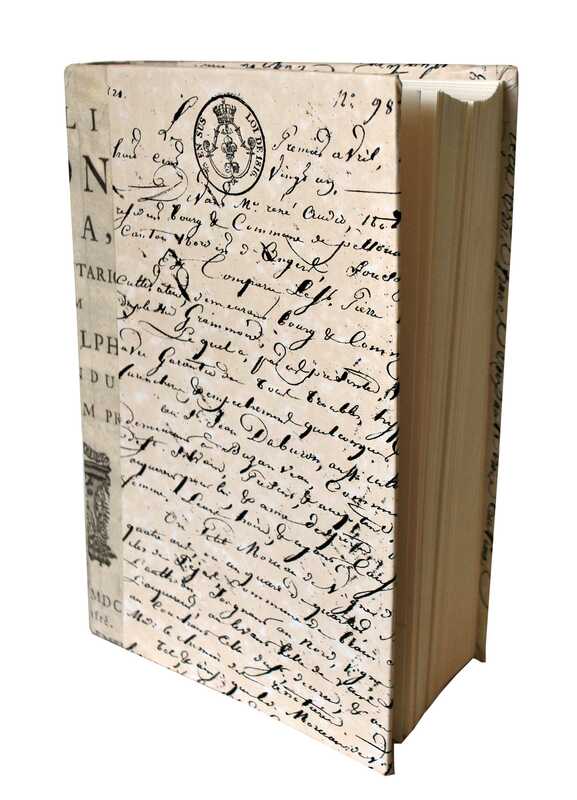 The book cover is cream parchment with antiqued script. 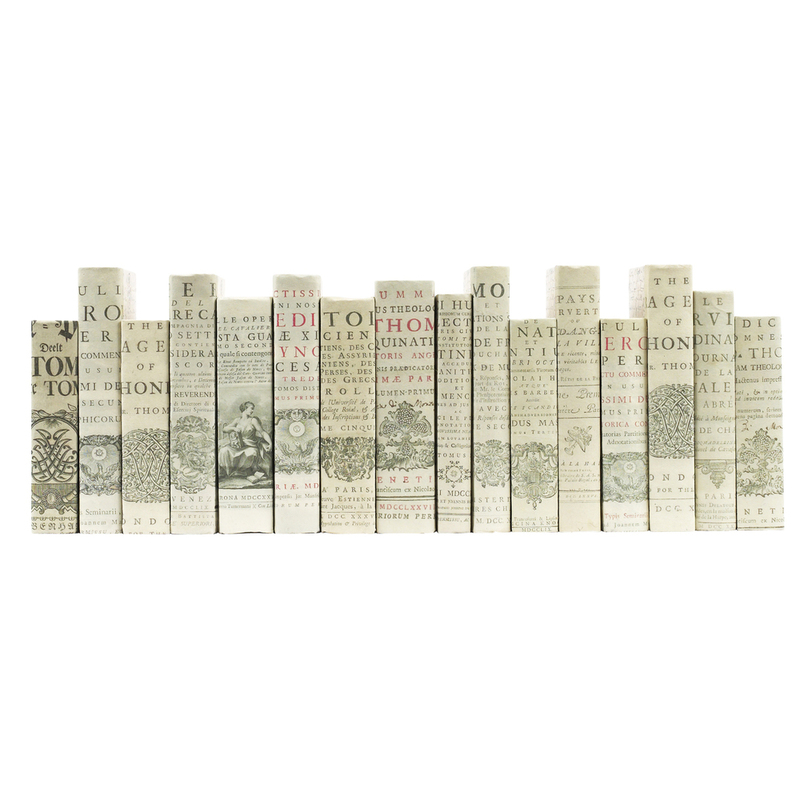 Dimensions are for a series of 5 books standing upright. Dimensions may vary slightly. Handmade in the US. Ships within 10 business days. Books have staggered heights of 7.5", 8.5" and 9.5"